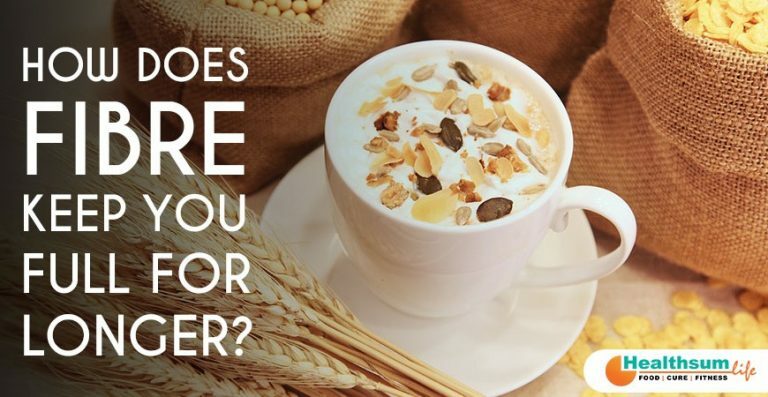 How does Fibre keep you Full for Longer? Irrespective of whether you are on a diet or not, including a low-calorie and high-fibre food benefits all. Apart from its ability to keep you satiated and help in weight control, fibre can also protect you from chronic illness such as diabetes, heart disease, cancer, and obesity. Many on-going researches continue to unveil additional health benefits relates to fibre which gives you more reasons to include complex carbohydrates as a significant part of your meal. It is believed that fibre helps in weight loss as it keeps you full longer which prevents food cravings. To know how fibre helps in keeping you satiated for long, you need to have a detailed insight into the fibre. Dietary fibre is found in plant foods such as fruits, grains, legumes, and vegetables. The fibres can be classified into two. The outer covering of skin on fruits, vegetables, stems and stalks as well as the fibrous outer layer of whole grains known as bran are examples of insoluble fibre. Potato skin, broccoli stems, and asparagus stalks are all types of insoluble fibre. The other type of fibre is the soluble fibre which is found inside these food items. Fibre has no calories in itself. Most of the whole foods consist of about one-third of soluble fibres and two-thirds of insoluble fibres. Soluble fibre dissolves in liquids in the digestive tract to form a gummy and viscous gel which serves several health functions. It binds the fatty acids made of cholesterol and doesn’t let them get absorbed. 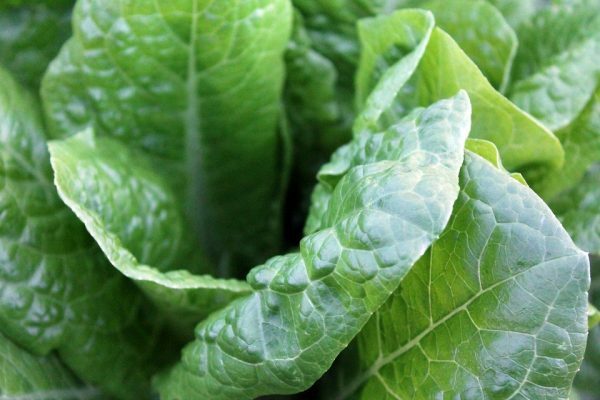 It also stabilized the blood sugar level by slowing the carbohydrate digestion. A significant weight- control advantage offered by the soluble fibre is enhancing your feeling of fullness by delaying the emptying of your stomach as well as slowing the passage of foods from your intestines. Foods that contain soluble fibres include oats, barley, peas, apples, beans, berries, broccoli, spinach, soybeans, and carrots. Insoluble fibres hold water but do not get dissolved in water, unlike the soluble fibres. The ability of insoluble fibres to absorb water creates a feeling of fullness in your stomach along with adding moisture to a stool. The added moisture softens stools making your bowel movements easier. Insoluble fibre can be found in skins of whole grains, nuts, fruits and vegetables, corn, prunes, bran, and asparagus. What is considered as an adequate intake of fibre? – It has been recommended that males between the ages of 14 to 50 should consume 38 grams of fibre per day and males above the age of 51 years should consume 30g grams of fibre per day. 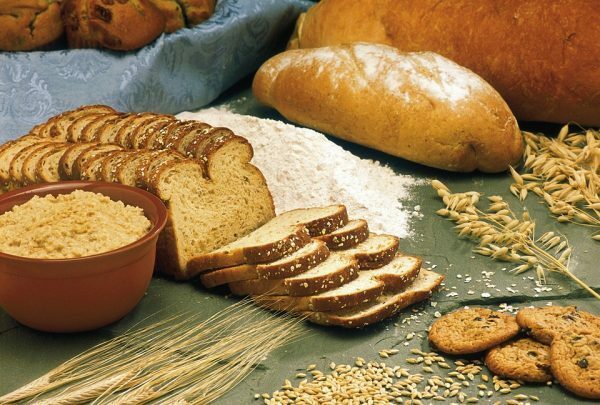 – For females between the ages of 14 to 18, the average intake of fibre is 26 grams per day, while for females between 19 to 50 years of age it is 25 grams of fibre per day. Females over the age of 51 can reduce the fibre intake to 21 grams each day. – During pregnancy, the daily requirement of fibre is 28 grams which increase to 29 grams per day when breastfeeding. 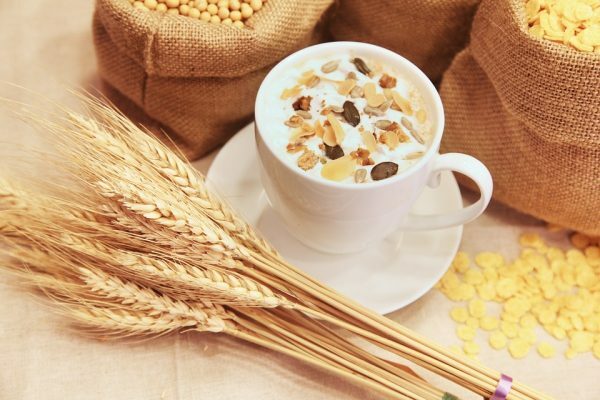 While we saw too many benefits of adding fibre to our diet, there can be unpleasant side effects such as gas, bloating, and loose stools, if you add fibre too quickly to your diet without allowing your digestive tract to adjust to your dietary changes. HealthsumLife is the perfect answer to all your health woes. If you are looking for a lifestyle modification with health analysis and healthy food recipes, download the HealthsumLife app and embrace a positive change in your life.